I WILL TALK ABOUT MY ART PRACTICE and RESEARCH! I will chairing an Upcoming Session at College Art Association, in NYC Feb 15th! "Trans Representations: Intersectional Gender Identities in Contemporary Art and Visual Culture" brings together work made by trans and gender-nonconforming artists and visual culture producers across a variety of media and approaches. Mainstream representations of trans people may shift over time, but they primarily demonstrate which trans constituencies are impermissible, narrowly present acceptable ways of being trans, and sideline the majority of actual trans experiences. In North American and European contexts, for instance, mainstream culture regularly forward trans representations that reflect dominant cultural ideals embracing cis-normative, heteropatriarchal, and white-supremacist ideologies. Because of this reductive trend in mainstream culture trans, and gender-nonconforming self-representations play a vital role in the negotiation of identity formations. Trans representations as a field confound how we have come to think of gender binary and fixed), representations (fixed stand-ins for the person imaged) and identity constituencies (essentialized and static). When trans and gender-nonconforming people self-represent new ways to conceptualize identity, gender and representation emerge. Drawing together a diversity of scholarly and artistic methods to explore in depth nuanced practices interrogating trans and gender-nonconforming experiences this panel considers the complexity of trans and gender-nonconforming representation today. This panel reveals that there are a plethora of ways of being trans and gender-nonconforming, that gender is a malleable matrix, intersecting with racialization, class and various other identity categories. Bringing together a diversity of representations and approaches, this panel seeks to engage the shared commonalities and various specificities of trans and gender-nonconforming self-images and politics across media geography, gender, class, and racialization. In the first in a series, meet four self-identified and proud LGBTQ alumni in the public sector, arts, academia and business. See original article here. Ace Lehner Awarded UC President's Dissertation Year Fellowship for their research on Trans and non-binary representations! Freedom '17 featured in OUT/LOOK opens Oct. 6th!!! I’m currently working on a visual studies research project investigating the politics of trans and gender non-conforming representations in contemporary culture (mainly in the United States). Building on methods forwarded by cultural studies founder Stuart Hall, the project surveys a variety of visual culture forms in order to comprehend how identity categories are being proposed, contested, and negotiated in the visual field. I am interested in actively working to undo the partitioning of various identity-based discourses from one another in efforts to better understand the complexity of the ways visual culture relates to the constitution of identity categories. Looking at film, photography, magazines, and selfies, the project embraces interdisciplinarity to thoroughly attend to the interconnectedness of gender, ethnicity, racialization, and class as they relate to corporeality, representation, and systems of identity regulation. The books I am sharing here are either demonstrative of this type of approach in their praxis or their methodologies are foundational to probing such concerns, and they all are significantly impactful regarding my current work. Situating contemporary self-representations of trans and gender nonconforming subjects in an art historical lineage of radical, self-representations made by members of the LGBTQ community, I argue trans self-representations (including those found in zines and on social media) are critical interventions in visual culture and imperative counterpoints to problematic representation of trans people produced in mainstream culture. Ultimately my project argues that it is in marginalized forms of representation that trans and gender non-conforming people are creating self-representations that constitute new artistic forms and new identity categories. Alongside this scholarly project I am also creating studio-based work investigating similar concerns. The 2016 Kern conference will be focused on the spectacle of the “selfie.” Key issues that drive this inquiry include: 1) intense interest in social media, co-creation, and participatory consumer culture, 2) a desire to historically contextualize the selfie within art history, identity theory, and photography, 3) positioning the selfie as a distinctive self-performative act, and 4) conceptual and methodological foundations for studying the selfie as a visual communication phenomenon. Goals include exploring current developments, research methods and interdisciplinary research into how social media, self-portraiture and the selfie interact. One particular theme is to develop a series of historical and contemporary examples to trace a visual genealogy of the selfie, following interpretive and historical work in consumer culture theory, photography, and visual culture. Within strategic communication, the selfie has been deployed to promote brands as authentic, to invoke the “average consumer” as a credible product endorser, and to show how brands might fit in with regular consumer’s lifestyles. Many questions remain. 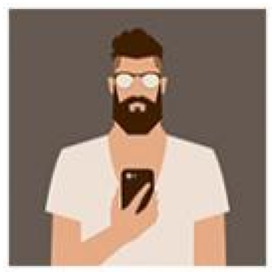 How do consumers use selfies to construct and present themselves in social media? When do certain selfies go viral? What methods are useful to study selfies? How do issues of privacy, security, and surveillance inform the use of the selfie? Following in the tradition of Kern conferences, we plan a rich program of interdisciplinary scholarship and conversation. A special journal issue is planned for selected papers from the conference. Unlike most empty prisons, Wapato Correctional Facility’s 525 beds are not haunted by ghosts, instead pristine pillows rest atop heinously cheap and hideously green mattresses that have never been slept in and do not hold indentations made by the weight of past trauma. There are no stains, no hairs, no traces of human suffering. Completed in 2004 the Multnomah County jail has stood empty till today and while it has often been described by locals as an albatross, it might more fittingly be considered a physical manifestation of Jeremy Bentham’s conception of the Panopticon. For, like Bentham’s Panopticon -a conceptual structure that, never actually housed any prisoners- Wapato Jail’s surveillance cameras perpetually watch over constant emptiness. VASA Journal of Images and Culture Identity Politics Issue. More information will be forthcoming. Currently ERNEST has work published in collaboration with an exhibition on view at Interface gallery in Oakland, CA. The research I presented here investigates Zackary Drucker and Rhys Ernst's collaborative photographic project Relationship.